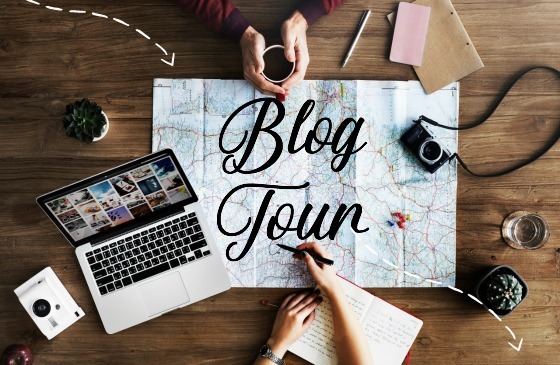 I first met Michelle years ago when I was new to blogging and leaving comments like a crazy woman all over the web, clearly flirting with both making friends and being the person people ran from. Ha! Thankfully Michelle realized a sane person was beneath all my crazy. We have been on similar, yet different paths as authors. Michelle got an agent and has been traditionally published, while the doors that opened for me were in the independent publishing world. Thankfully, both are wonderful ways for books to come to life. This is not Michelle’s first time here at The Messy Middle. A couple of years ago I interviewed her for her book Katharina and Martin Luther: The Radical Marriage of a Runaway Nun and a Renegade Monk . 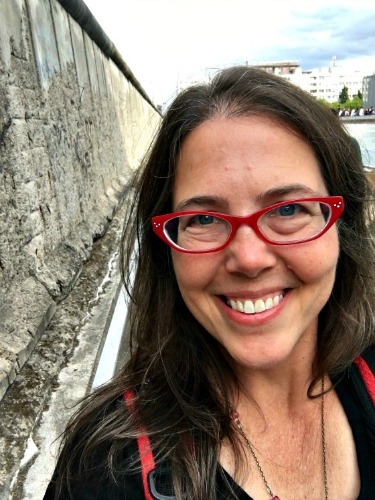 Michelle has a new book out, so of course, I wanted to chat with her about it! Michelle, we are so glad you are here today. I love to hear where the idea for a book came from. Could you share a bit of how you got the idea for this book? The idea was actually sparked during a family vacation to Oregon a couple of summers ago. We visited the Portland Japanese Garden, where our tour guide explained a particular Japanese pruning technique called “open center pruning.” She talked about how removing so many of a tree’s branches and limbs allowed the “inner essence” of the tree to be revealed. This, she explained, created a sense of openness, space and tranquility, not just within the individual trees themselves but in the garden as a whole. I couldn’t get that pruning image out of my head, and the more I thought about it, the more I realized that open center pruning could be a powerful practice for our spiritual lives as well. As we slowly prune away the extraneous bits of ourselves — the parts that detract from who we really are and who God created us to be — we will begin to flourish and live into a new openness and spaciousness in our lives and in our faith. I wrote a blog post about the metaphor of open center pruning not long after we got back from our trip, but I still couldn’t shake the image. 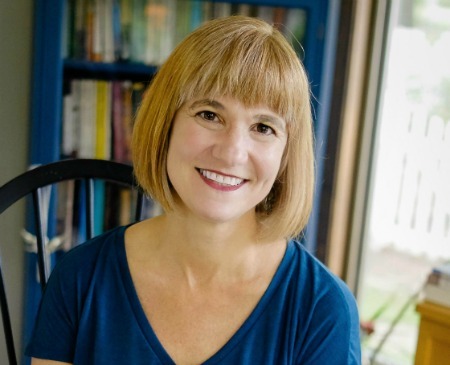 It aligned so well with some of what I had been reading at the time — Richard Rohr, Henri Nouwen, Ruth Haley Barton, for example — that I began to entertain the idea of a book. Two years later, that original blog post about my trip to the Portland Japanese Garden grew into True You. Wow. I can see why you couldn’t shake that image! How did you research and prepare to write True You? It really was a slow process. Over a period of a couple of years, I had been compiling notes from my reading into journals. At one point I went back and read through the journals cover to cover and realized that I had been chewing on some of the ideas for this book for a long, long time – there were some clear themes threaded through my own writing and reflected in what I was reading. I went through my journals and highlighted all the quotes and my own thoughts that pertained to the topic of true versus false self, and I realized I had a ton of research and information. So it was a matter of culling through it, organizing it and figuring out what I wanted to include in the book. The writing of this book was a much more contemplative, reflective process than my previous books. 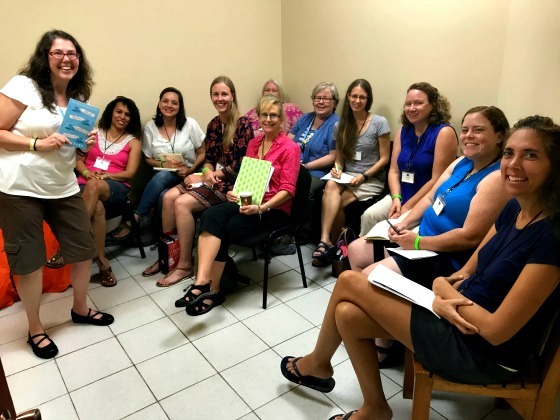 It was slow going, because I first had to figure out how the Holy Spirit was leading me and the wisdom the Spirit was imparting to me about my own relationship with God, and then I had to try to make those insights applicable and accessible to others. Even though True You has a lot of my story in it, I really do hope that the themes and message are universal. I do my best creative work in the morning, so after I get my kids off to school and the house somewhat in order (one of my quirks is that I need to have uncluttered surfaces around me – like the kitchen counters, the coffee table and my desk — before I get to work. A “clean” workspace helps makes for an uncluttered head…or that’s what I hope for anyway! ), I usually go for a short run or a walk, shower and get dressed, and then am at my desk by 9 a.m. or so. I try to do about 3 to 3.5 hours of writing before I break for lunch. I work two days a week for The Salvation Army, so the other three days a week are my writing days. I try to write in the morning and then revise and edit in the afternoon before I leave to pick up my kids from school at 3 p.m. Truth be told, I prefer revising and editing over actual writing; polishing a piece is more fun and so much less fraught for me! The “blank screen” is the WORST. Back to Amy and my question. 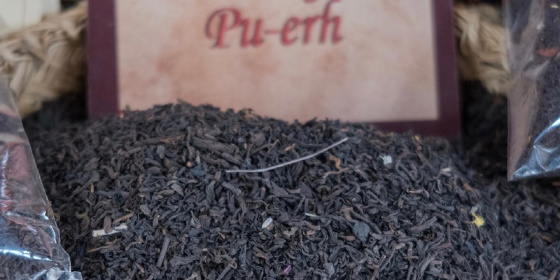 Often people will fast during Lent, with sugar or caffeine commonly chosen. But I was thinking, what if people gave up busyness or striving or false identifies for Lent. Well, what if people try to :)! Knowing we will fail, yet God will meet us even in our daily (hourly?! minutely!!!) failings? So, my question is, what ideas or suggestions do you have for someone who would like to fast from busyness, striving, or false identities? That’s such a good question, and I LOVE the idea of fasting from busyness, striving or false identities as a Lenten discipline (I’m actually doing a social media fast this year for Lent). My advice would be to find a few minutes – even just five or ten minutes a day – to sit in silence, stillness and solitude. Silence has been a critical aspect of my ongoing journey toward uncovering my true, God-created self. We live in an incredibly noisy culture, and even when we do have downtime, we tend to fill it with more noise: social media, technology, social activities, etc. Silence makes many of us anxious because we are unaccustomed to it, and so we endeavor to fill even our smallest slices of quiet time with distraction. God will reveal the parts of ourselves that are false, the parts of us that are not aligned with him, but often, we can’t hear from him because our lives are too noisy and too busy. 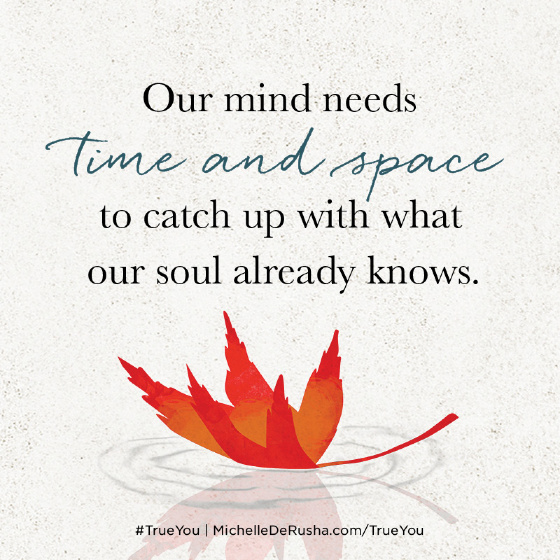 I say in True You that our minds need time and space to catch up with what our souls already know. In order to begin to even identify the false parts of ourselves, we need to be quiet enough and still enough to hear the whisper of the Holy Spirit speaking deep in our souls. So integrating a daily practice of intentional rest into our every day would be one way to begin to quiet the clatter of our hearts, minds, and souls. As I write in the book, this period of intentional rest doesn’t need to be long – I’m not talking a whole day squirreled away in a monastery at a silent retreat (though that would be lovely!). Five minutes is a great place to start, and you will be amazed what even five minutes, practiced regularly over time, can do for your physical, mental and spiritual health. Michelle, I’ve really enjoyed our chat! And I imagine the readers have too. 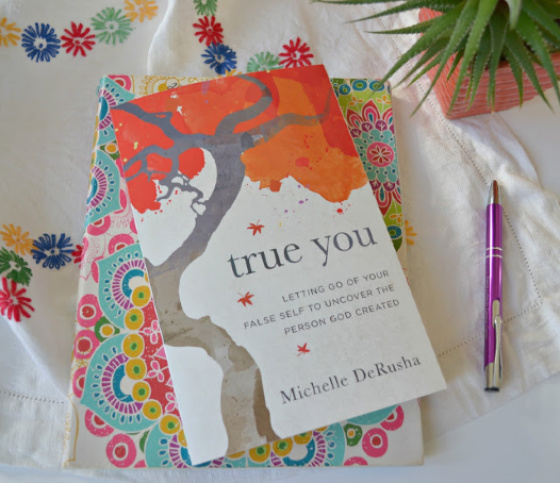 If you would like to be entered to win a signed copy of True You, leave a comment (about anything!). What stood out to you in the interview? What gets in the way of you being your true self? What are you reading for Lent? Do you practice silence, stillness, and solitude? What does that look like for you? I record the books I read in a notebook. In part to track how many books I read in a year. In part to have a record of what I read. But neither reason is why I started this habit. Years ago one of my colleagues in China asked me about a book I had read the year before and for the life of me, I could not recall anything of substance. What?! As soon as I finished a book, I moved on to the next one without building in any reflecting time. So, chose a pretty notebook and started to write down a short blurb for each book I read. Sometimes my blurbs are brief summaries, other times, I write down what I want to remember from a book. Recently I was asked what I’ve read in the last four years related to leadership and communication. You know I love nonfiction, so it’s not surprising my list was long-ish, almost too long for one post. But who doesn’t love a good list? For your sake, I disciplined myself not to say too much about any one book. If you’d like to know more, just ask! 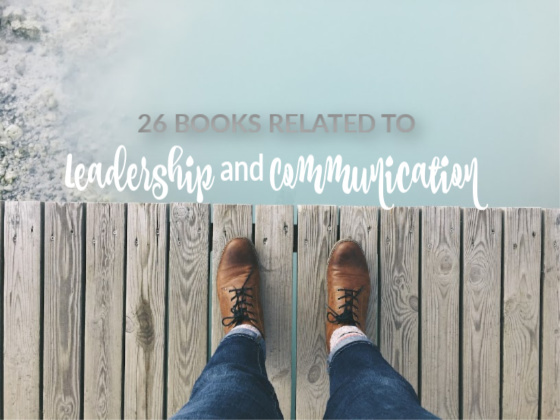 Without further ado, here are the 26 books I read in the last five years related to leadership and communication. 5. Resonate: Present Visual Stories that Transform Audiences by Nancy Duarte — The power in a story of going back and forth between what is and what could be. 7. Thanks for the Feedback: The Science and Art of Receiving Feedback Well by Douglas Stone and Shalia Heen — I’m realized I have so much I want to say about this book, I’ll do a separate post. So good! 8. With: Reimagining the Way You Relate to God by Sky Jethani — An absolute must read. The end. 9. The Weekly Coaching Conversation: A Business Fable about Taking Your Team’s Performance and Your Career to the Next Level by Brian Souza — Not my fav read, but a good reminder as a leader to be intentional with those I work with. 10. Sticking Points: How to Get 4 Generations Working Together in the 12 Places They Come Apart by Haydn Shaw — So many “ah-ha!” moments reading this! 18. The Advantage: Why Organizational Health Trumps Everything Else In Business by Patrick Lencioni — An absolute must read! 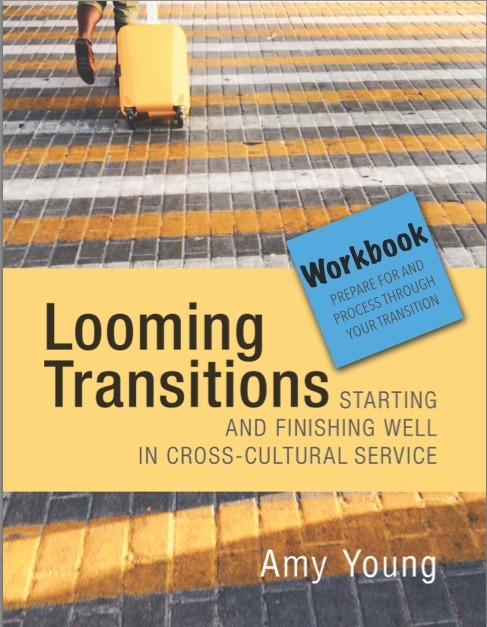 I’m using this book with the Connection Group Facilitators this fall. 22. The 4 Disciplines of Execution: Achieving Your Wildly Important Goals by Sean Covey, Jim Huling, and Chris McChesney — Absolute must read. 23. Deep Work: Rules for Focused Success in a Distracted World by Cal Newport — Excellent. So good on understanding how the brain works and the importance of building in time for deep work. I have been frustrated that I’m stuck doing so much shallow work, this book was a big help to bring change. 24. The Power of Healthy Tension: Overcome Chronic Issues and Conflicting Values by Tim Arnold — My new fav book; I love it so much I have worked in these ideas into talks I’m giving at writers groups around Denver, a presentation I made in Germany to cross-cultural workers, and a keynote address I’ll give in February at a cross-cultural conference to mainly those who send people overseas. Suffice it to say, the impact this book has had on my thinking and understanding of situations that are a part of life is far and wide and if you get with a two-foot radius of me, you’re gonna hear about this book! 25. 5 Voices: How to Communicate Effectively with Everyone You Lead by Jeremie Kubicek and Steve Cockram — Here is an Instagram post I wrote about this book. How many have you read? Any catch your eye and are now on your “to read” list? But more importantly (to me! ), what have you read related to communication or leadership and would recommend I read? You know I turned 50 in December. You know I believe in marking milestones. You also know I love my people, history, culture, and traveling. Combine all and what do you have? A Baltic Cruise and the chance to visit a new part of the world. One of my fellow travelers was my friend Joann, our books—one about transitions, another about Chinese church bells—are book cousins. So, is it any surprise that as we traveled we thought of books we read or want to read related to our travels. If you look at a map, Berlin is not by the coast. So, calling is a “port city” on the cruise might be a bit lose and fast with definitions. But the three-hour bus ride from the ship? Totally worth it. 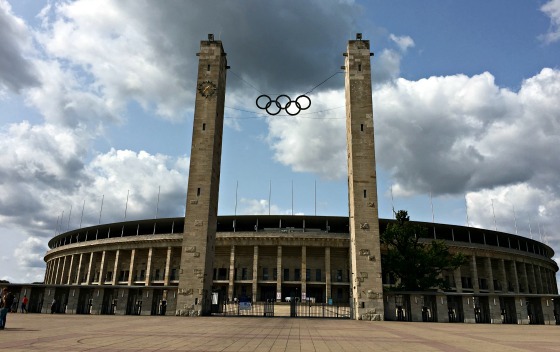 We started off at the Olympic Stadium where Jesse Owens won his gold medal as the Nazis downplayed their plans for the world. I highly recommend the movie Race and now plan to read these books, all recommended by Joann. Bridge of Spies by Giles Whittell—You might have heard of the movie, Joann said the book, not surprisingly, goes into more details and if you have to choose between book or movie, choose the book. The Collapse: The Accidental Opening of the Berlin Wall by Mary Elise Sarotte—It was an accident! That November night in 1989 when the wall came down because the person speaking to the press was reading a press release and . . . you will have to read the book to find out the rest! Nicholas and Alexandra: The Classic Account of the Fall of the Romanov Dynasty by Robert K. Massie—I read this in high school and fell in love with one of the last Czars, his wife, their son who had hemophilia, and the mystic Rasputin. 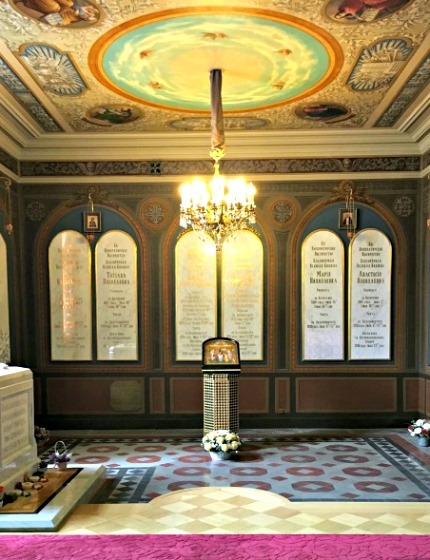 On our tour, we visited the Peter and Paul Fortress and Cathedral, where all of the Czars are buried, including Nicholas, Alexandra, and Alexis. The next day we toured the Palace where Rasputin was murdered. I am eager to read this a second time. The Return of the Prodigal Son: A Story of Homecoming by Henri Nouwen—This book is one of my favorite five books of all time. 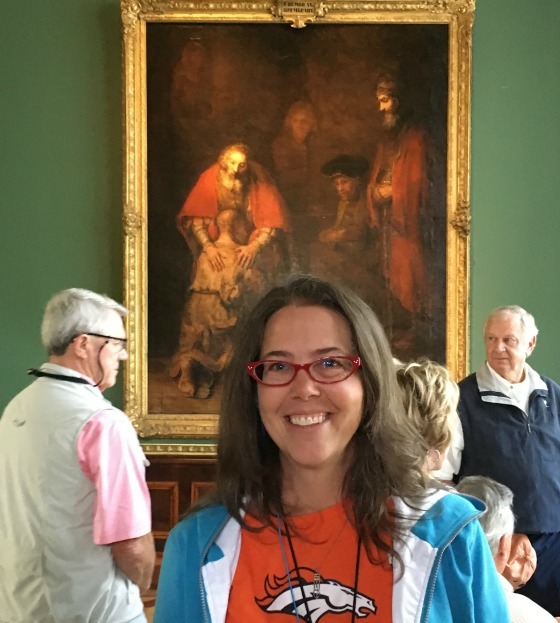 So, when I heard we would be going to St. Petersburg and go to the Hermitage, I felt quivery inside. I need to reread it. If you haven’t you must read it. Please. The Almost Nearly Perfect People—mentioned above. Almost Nearly and The 100-Year-Old Man Who Climbed Out the Window and Disappeared by Jonas Jonasson—this international bestseller is described as “A reluctant centenarian much like Forrest Gump (if Gump were an explosives expert with a fondness for vodka) decides it’s not too late to start over . . .” So, you can tell it’s fiction. I’m wondering what it is about Sweden that turns out such good storytellers? I’m thinking of A Man Called Ove and Fredrik Backman. We returned to Copenhagen and each began the long trek home because there are books to be read! What books do I need to add to my list? You know I lead the Book Club at Velvet Ashes. 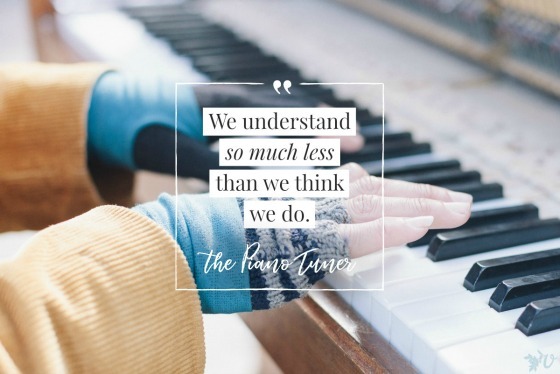 In February we read The Piano Tuner by Daniel Mason. Placed in the 1880s, Edgar, a piano tuner in London and was commissioned by the military to go to Burma and tune a piano of an important British military leader. His wife Katherine wasn’t able to go with him, but was excited and supportive of the trip. On the long trip, he faithfully wrote her and shared his journey. He continued writing as he traveled inland to Mandalay. It was only when he went out to the remote area in Mae Lwin to tune the piano that he stopped writing. I don’t want to give too much away about the plot, but after the first few chapters, Katherine isn’t in the book except when Edgar writes to her or speaks of her. I know that Katherine isn’t real, but she feels real to me. I keep thinking about her. At the end of the book I realized Katherine was going to be left in the dark about much of Edgar’s trip. She must have been reeling, to have a black hole of information and no one to ask. I cannot imagine the pain. In a twist of odd timing, last Friday night I had dinner with my teammate Hannah from the summer of 2006. 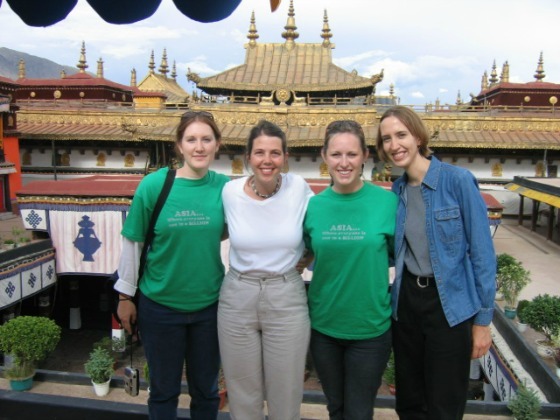 We spent several weeks together in Tibet and she now lives in Denver. After dinner, as her three young children wrestled around us, somehow after all these years we touched on our teammate Carol. The picture below was taken at the Jokhang Temple. Hannah is on the far left, I’m next to her, and Carol is far right. Carol was around my age at the time, mid-30s, single, a teacher, and proud auntie. Unlike me, she had a serious boyfriend who just could not pull the trigger and propose, though they had dated for years. We clicked. I knew we would be friends post trip. That summer she had horrible back pain and I spent a lot of time helping her try and find relief. When the trip was over, she flew back to America and I flew to Beijing to help my organization with the orientation for those new to the field. I received an email from Carol that the doctors couldn’t figure out what was going on but thought it was a parasite. That was the last communication we had. The next email was from our organization saying she had liver cancer and had one week to be at home before she would be taken to a hospice facility. The next email was that she had died. Because of privacy policies (these were new at the time and people were still figuring boundaries) we could send a condolence card to the headquarters, but we could have no contact with her mother. I was so thrown by her death and the suddenness of it. We were just in Tibet. She was alive and we were serving together and having adventures. And now I couldn’t even tell her mom how sorry and shocked I was? How knowing her daughter, albeit briefly, meant something to me. I knew her hometown in Nebraska so I searched online and found three people who could be her mom and I called them. I found Carol’s mom. Long story short, her mother was grateful to hear about Carol’s summer because there hadn’t been time to talk, to share stories, to go over pictures. Her mom asked if she could mail me all of Carol’s pictures and if I would label who was in them, where we were, and what we were doing. Of course I said yes. It helped me. It helped Carol’s mom. But who can help Katherine make sense of her confusing ending? Katherine, you may be fictional, but you are real to me and I’m sorry. Image designed by Karen Huber. Have you read the 17 Best Books of 2017? The internet is awash with lists containing the “best books of 2017.” I love reading them and seeing which books I’ve read, which are on my to-read list, and which are brand new to me. You might also enjoy the 9 Books I Loved in 2014, 10 Books I Loved in 2015, and My top 15 books in 2016. In working on this post I went back and looked over my lists; so many good books, people. So many. This year I made loose categories for the best books of 2017 (at least best books I read). Without further ado, I bring you . . .
Hillbilly Elegy: A Memoir of a Family and Culture in Crisis by J. D. Vance—Gorgeous story teller! Many of his stories from Kentucky sounded like they came from the 40s or 50s, but he is younger than me! Read this to wrestle with learned helplessness and personal responsibility. Also to see the power of have one (or more) solid adult pour into a kid (in his case, his grandma). A Man Called Ove: A Novel by Fredrik Backman—I read this twice, once with the Velvet Ashes book club. This crusty old man encouraged us to slow down and get to know a person’s story. Beautiful writing . . . I am so impressed that it is translated into English! Ink by Alice Broadway—Alice is in a writers group I’m in and this book was first published in the UK and unavailable in the U.S. Mutual friend Tanya made sure this book found its way into my hands and I am grateful! “This may been the next YA trilogy. Alice is super talented!” Deals with the subject of a faith crisis as one grows up. Book two is in process and I cannot wait! The Unlikely Pilgrimage of Harold Fry: A Novel by Rachel Joyce—I loved this book! So many parallels with A Man Called Ove—I sort of annoyed anyone within a seven mile range with my over analysis of Harold and Ove. Strong themes of purpose, aging, regrets, and redemption. In This House of Brede by Rumer Godden—First of all, 640 pages, so gold star to me. But that is not why it made my top-17 list. If you are interested in cloistered life, this is a must-read. Godden tells the story of Phillipa, an “older” convert in an insightful and sensitive way. Katharina and Martin Luther: The Radical Marriage of a Runaway Nun and a Renegade Monk by Michelle DeRusha—I blogged about this here: Need an idea to celebrate the 500-year-anniversary of The Reformation? The Road Back to You: An Enneagram Journey to Self-Discovery by Ian Morgan Cron and Suzanne Stabile—Want to understand yourself better? 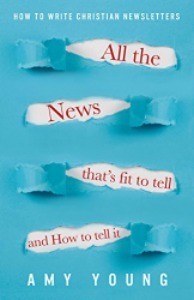 (and maybe have a bit of insight on those around you), this is the book for you. The Enneagram looks at nine personality wiring, their strengths and shadow side, highlighting how that personality plays out in health and unhealthy situations. I loved the podcast related to this book. Sway: The Irresistible Pull of Irrational Behavior by Ori Brafman and Rom Brafman—Want to understand why you (or others) do what you do? At times, we can be our own worst enemies when it comes to irrational behavior. Of interest to me, as I work with teams, is the importance for any healthy system to have: initiators , blockers (they give the opportunity to see from another light), supporters (and who they choose to support), and observers (fairly neutral). You need all four. The Advantage: Why Organizational Health Trumps Everything Else In Business by Patrick Lencioni—By far the best book I read this year when it comes to fostering a healthy work environment. I could NOT stop talking about it all summer. Every organization needs “smart” people — good with strategy, marketing, finance, and technology. Too many organizations think that having “smart” people is the advantage. They are wrong. A system also needs to be “healthy”—minimal politics, minimal confusion, high morale, high productivity, and low turnover. “Healthy” is the true advantage. The 4 Disciplines of Execution: Achieving Your Wildly Important Goals by Christ McChesney and Sean Covey—Okay, by far the second best book I read this year when it comes to organizations! This book will help you think in terms of “Wigs”—wildly important goals—to help anchor you in the midst of the “whirlwind” of life. We all get caught up in the whirlwind, but we can still accomplish wildly important goals. Good for personal, professional, spiritual, and health goals and for individual and team use. 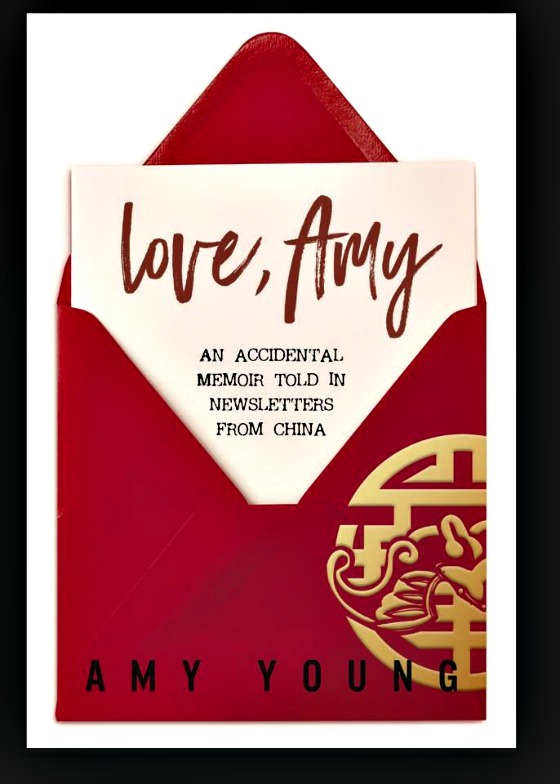 Love, Amy: An Accidental Memoir Told in Newsletters from China by Me (Amy Young)—Being an author and having people read your offering to the world is a humbling, exciting, encouraging, awkward at times, empowering, and so vulnerable you want to throw up and never look anyone in the eye again. Above all? A complete honor. 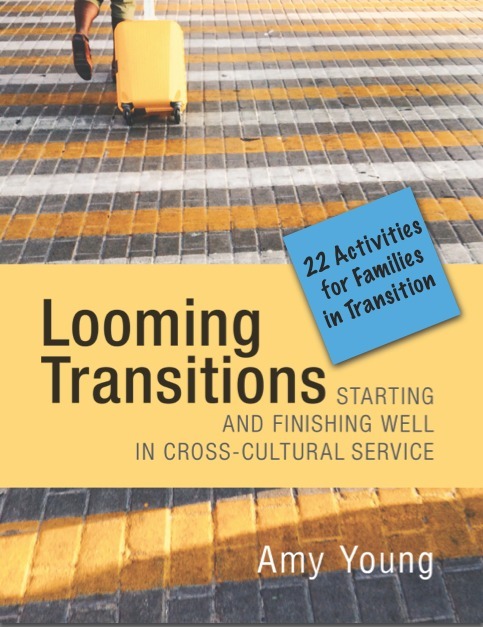 If Looming Transitions was born out of the teacher part of me, Love, Amy is the birth child of my essence and my hope for engaging this wonderful world we share. What did you read in 2017 that was a keeper? 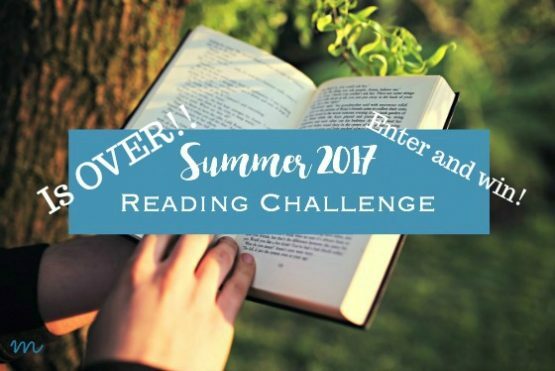 What are your reading goals for 2018? Do tell, we book addicts and lovers need to help each other out. Hi friends, last week I had a chance at A Life Overseas to talk with my friend Tanya about her new book. I first met Tanya when I lived in China and we have been friends ever since. I don’t want you to miss out on this interview because it combines so many of my loves: friends, faith, and books. You’ll notice it is geared towards folks serving overseas, but I double dog dare you to find you can’t relate at all to my conversation with Tanya :). If you’re looking for an advent book, wait no further. I love this book so much my small group is going through it and I’m teaching an advent Sunday School class. Without further ado, I bring you one of the loveliest people I know . . .
Tell us a bit about your background. What did you dream your life would be like? I didn’t end up overseas, but by my twenties, I was happy. I was living my dream of working fulltime as a Christian minister, lecturing in Biblical Theology, happily married to someone also in Christian ministry. 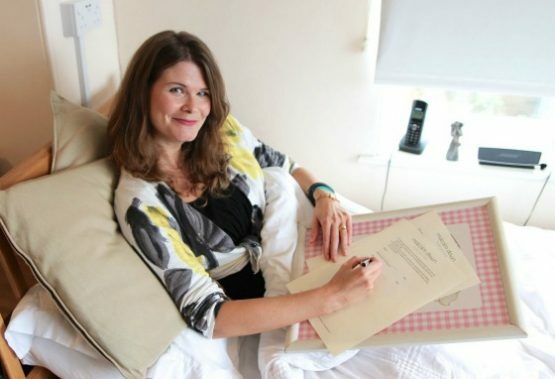 Then chronic illness struck me, and my life was turned upside down. How has the whole issue of waiting featured in your life? In 2010, I gained a baby and a disability. I have Myalgic Encephalomyelitis (ME), an autoimmune condition which affects every cell in my body, like a giant faulty battery. Before, I was active and fit – now I can barely walk around the house, and need to lie in bed 21 hours a day. Before, I was seeing people all the time, speaking and pastoring: now my ministry has morphed into the few words I can tap out from my bed in a week. There’s no real treatment for ME, and the illness is underfunded and under-researched. There’s a very slim possibility of full recovery, and I could deteriorate further, like so many other bedbound ME patients. A new Oscar-tipped documentary, Unrest, tells the story of what it’s like to live with ME. Your life becomes an eternal semi-colon, stuck on pause while the world continues around you. I wait for improvement, I wait for deterioration. I’m stuck in the middle, living in uncertainty. For seven years, I have grieved my old life. Often I have felt laid aside and rejected, and I’ve railed at God for my new prison. It’s been hard – excruciatingly hard at times – but I’ve discovered something of God’s hidden kindness in barren places. Why do you think the issue of waiting is particularly pertinent for people living overseas? Although I never quite made it to overseas work (and ended up marrying a Church of England vicar in my native Britain), I still have the most respect for those in that sector, and have long been an enthusiastic supporter of those called to serve abroad. for a home and place to belong. Waiting is hard. To be in a liminal, in-between state for a short time is discomfiting and exhausting. To be in a season of waiting for decades can be soul-crushing. 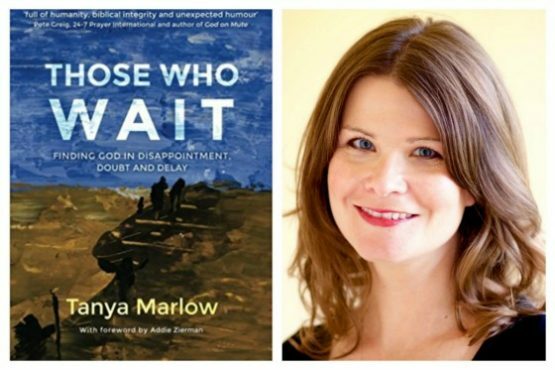 Because Those Who Wait is honest about the reality and discomfort of waiting, I hope it can be a source of encouragement for those who feel exhausted with living in an in-between state. Why choose the four heroes that you did? Why not others? What drew you to these four? I was drawn to the liturgical season of Advent, particularly the lightning of the Advent candles. The first candle stands for the Patriachs. I chose a ‘matriarch’, Sarah. Through her story, we deal with disappointment and bitterness, waiting for joy and fulfilled promises. The second candle represents the Prophets, so I chose Isaiah. We rarely think of him as a person, rather than just a prophetic mouthpiece. I wanted to explore the personal cost of his truth-telling, and through that how we with delay and frustration as we wait for justice and peace in our land. John the Baptist is the next candle. Through his story, we explore our struggle with doubt as we wait to live out our life’s calling. And Mary, mother of Jesus’ story is the story of all humanity – dealing with disgrace and isolation as we wait for Jesus’ coming. Advent gives us permission to name our deepest longings, and lament that this world is not as it should be. Those Who Wait can be read at any point, but the Advent season really speaks to our waiting journey, and the book is structured in 24 short chapters. Many readers of Those Who Wait are saving their books to savour through Advent. 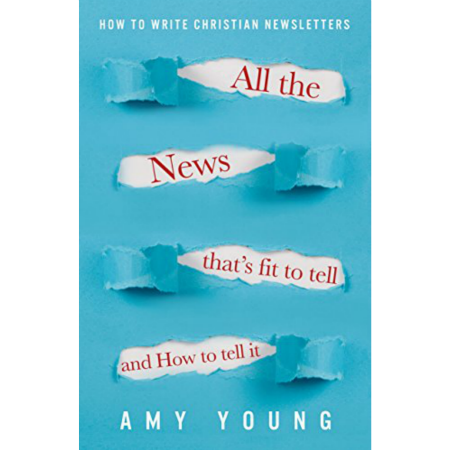 I wanted to explore these issues through story, like an engaging novel, because it’s through re-entering the story God can speak to our souls in new ways. It’s always good to remember that our revered Christian heroes are actually human – and the Bible is more honest than we are about the struggle of waiting. Which section did you enjoy writing most? In any other period of history he would have been revered as THE prophet of God – but he was overshadowed by his cousin, then waited for years in prison before his traumatic death at the hands of Herod. Where was God in his waiting and suffering? This is the question that drove me. What really surprised me was the kindness of God to John – and to us. Through writing Those Who Wait, I discovered that God is in the waiting with us, groaning with us, being merciful in unexpected ways, if we can only pause to spot it. 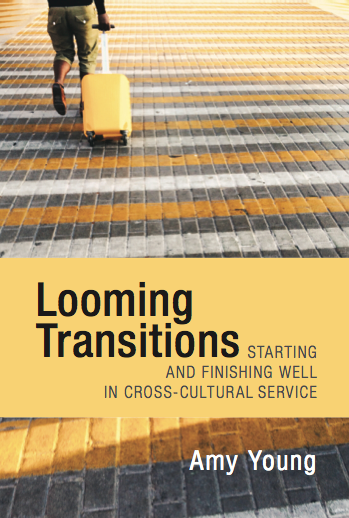 My hope is that churches, organisations and small groups can meet around this book (there are reflective exercises, group questions and even six Bible studies), and that through the journey they will be able to work through their own discomfort, disappointment or doubt that accompany seasons of waiting. For people long-jaded by the same old sermons and Bible stories, I hope it will reignite a passion for the honesty and dynamism of the Bible.. Most of all, I pray that readers will encounter God in these pages and find it transformational. May it bring perspective, purpose and empathy for weary hearts, and may God always meet us in the waiting place. This is my prayer. 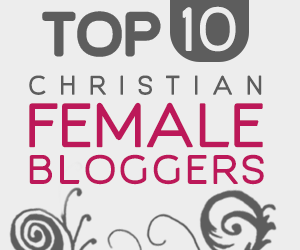 Tanya, thanks for sharing a bit of your journey as an author and Christian with us. Over to you, dear reader. What are you waiting for? Which of the four Biblical heroes can you relate to now? Leave a comment and you might win a copy of Tanya’s book. Happy Thanksgiving. I am thankful for you. Winners will be notified by Sunday.